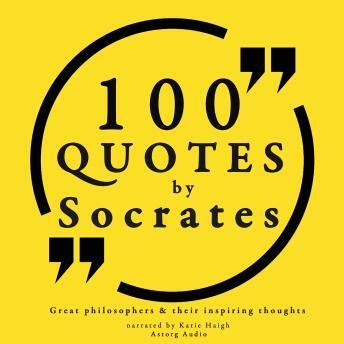 Socrates is an enigmatic figure, known chiefly through the accounts of others like Plato and Aristophanes. He was one of the most brilliant intellects ever, and devised what would later be called the Socratic method, which is a way of leading one's interlocutor to see his errors and contradictions through clever questioning before leading him to the truth. In ancient Athens, Socrates was widely known as a "gadfly", that is, an annoying insect buzzing at people's ears, because he kept questioning prejudices and contradictions; he was eventually tried and executed for "corrupting the minds of the youth". We have selected for you 100 of his best quotes, so you can decide whether this can be considered corruption, or an incredibly efficient way of learning to think for oneself.